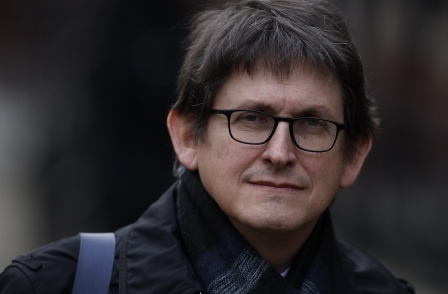 Former Guardian editor Alan Rusbridger has said climate change is the “biggest story of our lives” and believes that the media should change the way it tackles the issue. He added: “Some newsrooms are becoming dominated by metrics. We obsess about what our readers read, or will pay for, or what turns them into subscribers. “If that’s the guiding principle in your newsroom and if your readers are switched off from reading about climate change, then that is not good news. In 2015, under Rusbridger’s editorship, the Guardian launched the Keep it in the Ground campaign, which encouraged people and organisations to divest themselves of fossil fuel companies. When people visited the Guardian website they were greeted with black oil covering the screen and used a cover wrap to promote the campaign in print. Looking back at the campaign, Rusbridger said: “I wanted to do something that readers could play a small part in. Not by switching of their light bulbs at nights or only having one bath a week. “I thought, what is the thing that is actually going to change something? Rusbridger believes that the Guardian campaign was something “radical in journalism” and “had a real result” as it helped to encourage companies such as The World Bank, Lloyds, Axa and the Church of England to stop supporting fossil fuel companies. However he believes that journalists need to do more to help challenge climate change today. 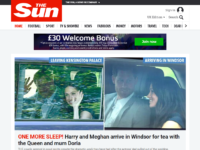 Rusbridger said: “If we believe that climate change is the most important story in the world, maybe the job has to begin in newsrooms with editors believing that. 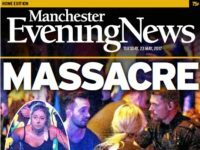 Unfortunately, half of our national press still publishes the mad ravings of conspiracy theorists who use junk science to ‘prove’ global warming doesn’t exist. Even the BBC was recently in trouble for doing the same. A lot of people would rather lazily stick their fingers in their ears and pretend it isn’t happening than make the changes needed to counter and cope with it. Especially in the era of Trump. You start explaining facts and evidence to a climate change denier and they just keep saying ‘Fake news’ over and over again, like a malfunctioning children’s toy, and accusing you of being part of a ‘lefty’ conspiracy. Given how the mainstream press consistently fail to challenge official narratives across the board, what version of climate change is Mr Rusbridger really alluding to? I suspect not the version detrimental to areas of key state interest.